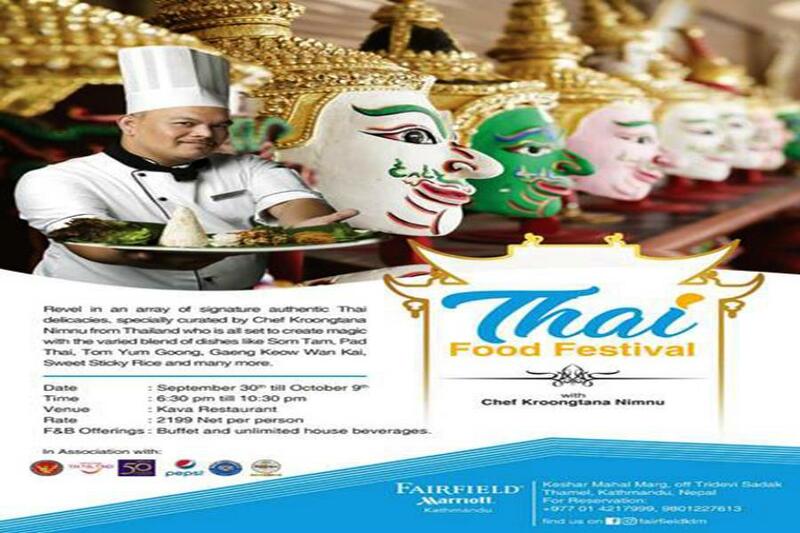 KATHMANDU: Fairfield by Marriott is organizing a Thai Food Festival from September 30 till October 9, 2018 at the hotel premises. The food festival is the promotion of the Thai cuisine and gourmet dining experience. Fairfield by Marriott has invited the Thai specialty Chef Kroongtana Nimnu exclusive from Thailand. The program will be inaugurated by the Chief Guest Mr. Bhakavat Tansku, Ambassador of Royal Thai Embassy of Nepal. The festival will be organized with Thai theme decoration and the Tourism Authority of Thailand is going to put together a short cultural performance by its students and artists during the inaugural function.